Pat’s still fishing, I’m still in charge, how about that? The rules have changed once again! (Click to get a more complete list.) Baby food is now allowed on planes (what did parents of infants do last week – chew up airplane food and feed the mashed up mess to their hungry babies?!) Contact solution is now okay, diabetics can bring glucose gel on board, lipstick is allowed, and you can carry on small amounts of non-prescription liquid medicine. BUT – you have to take off your shoes – it’s no longer optional. One more reason to wear socks to the airport. As you see here in my cameraphone shot, one day last week, the pool wasn’t filled up since there were morning storms, and I’m not kidding, once the sun came out. a bunch of kids were playing in the EMPTY POOL (mine was among them) – for about an hour until the parks and rec department got on the ball and got it filled. Look at them all staring at the fountain, hands on hips, willing it to turn on! Cute and pathetic all at once! Alright, I have no credentials as a music reviewer, but as a fan, I need a chance to gush about the James Taylor concert at the State Fair friday night! Please write and tell me if you agree or not.. but I think he sounded better than ever – how is it that his voice doesn’t age?! His songs are so dreamy, nostalgic, simple, and soulful… I read a Register review that called his performance a bit too tame. I disagree. 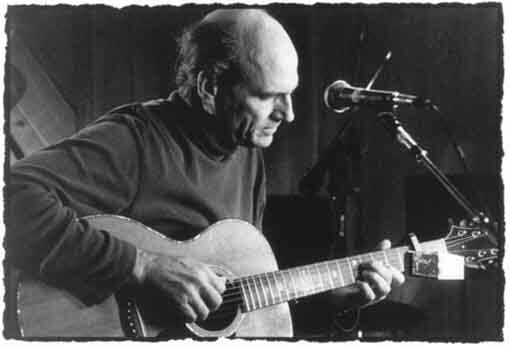 James Taylor is not Aerosmith. Smooth and mellow is his signature style – and from what I understand, the slower stuff is incredibly tough to carry off musically. I went to the concert with my husband, Ian, who’s a drummer – it was fun for me to watch him sit in awe of Taylor’s drummer Steve Gadd, who’s a legend among drummers. (He’s played with Paul Simon, Aretha Franklin, Joe Cocker, and Eric Clapton.) Ian tells me Gadd nailed the gig by NOT OVER-PLAYING, and as he said “back side of the beat, lazy summer night – perfect.” If you went to the show looking for energy, I don’t know how you couldn’t see it in JT’s performance of the blues tune “Steamroller” – he tore it up! My favorite moment (being a Broadway music-lover) was Taylor’s rendition of “Oh, What a Beautiful Morning” from the musical “Oklahoma.” All the hokiness was completely squeezed out of his beautiful, jazzier version of the song. I’ll never hear it the same way. Magical. I could’ve done without the buzz of the Midway in the background, but other than that, it was a great musical memory. While I’m on the topic of the State Fair, thanks to everyone who came to watch our show live this past Saturday morning at the fair! Only Jeriann could help me feel that awake at the end of a long week of too-early mornings! Tonic Solfa sang live with us, and I got a front row spot about 3 feet away! Way cool! And huge props to our behind-the-scenes news and production crews who went all out to make the show happen. It’s such a production to take a newscast on the road! I’ll be on blog duty through Wednesday, when Pat comes back with a cooler full of stinky fish from his trip. I’m looking forward to having someone share all the newsreading on the morning desk – I’m getting sick of my own voice! Trisha,Is Jeriann as energetic in person as on TV? She just seems to be full of boundless energy. I was that way before I had kids, now it seems I am lucky to get out the door without milk dribbled down the back of my skirt. It sure is worth it though! You are just great too. Hard to believe you have so much energy and have a little one. Your husband must either be a big help or you drink alot of coffee. I just have to say that the piece with you and your son was SO FUNNY, especially the part with the horse, er . . . “sheep” ! You should give him a blog!! 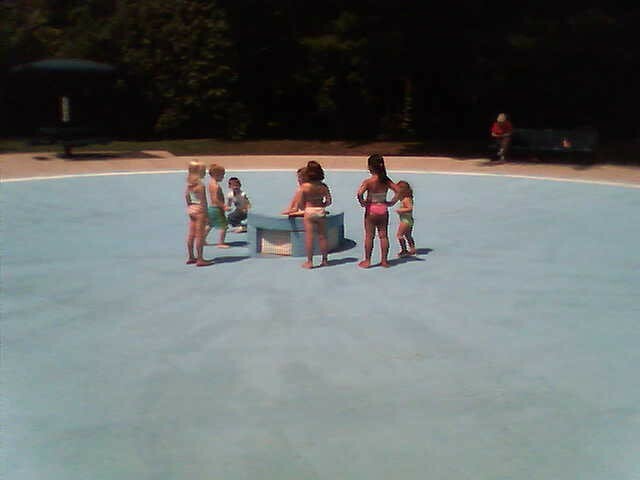 That is tha best picture with the kids all standing in an empty pool! Thanks for sharing!